When I drive around in Delhi or Mumbai, I see a lot of cars around me but too less Skodas, global CEO of Czech carmaker Skoda Bernhard Maier said on Monday after announcing the parent company Volkswagen’s plan to invest Rs 79 billion here. The two brands together own less than 2 per cent market share in India, the fifth-largest market for passenger vehicles (cars, vans and utility vehicles). Skoda entered India 17 years ago, while Volkswagen began selling in 2007. The brands struggled to grow and underutilised manufacturing units. “There have been criticism on how this big group (Volkswagen) was tackling the Indian market,” said Maier. Skoda has been chosen by the group to lead its operations in India. Targets of gaining a higher market share have gone wrong for the group till now. Maier, however, said India 2.0 — their new plan — is clear, solid and consistent. The group is eyeing a combined share of 5 per cent in India by 2025. The investment of Rs 79 billion will be done in capacity enhancement, R&D, new technologies and products by 2021. Both Volkswagen and Skoda will get two new cars each by 2020, with a localisation in excess of 90 per cent. A mid-size sport utility vehicle will be the first product for both brands, developed on a shared platform. The group’s current line up here has a low localisation (50-60 per cent), making it less competitive in pricing and ownership an expensive proposition. “I am not here to stand up and say we want to have a 25 per cent share in the market. I am aiming for sustainable growth with a sustainable business case. Something that will lead us into the future and bring us in a position to lead this transformation,” Maier told Business Standard in an interaction. India 2.0 was important as we have not been satisfied with our performance in India, he added. “India is perceived to be one of the fast growing markets. Last year, 3.2 million vehicles were sold and 5-6 million could be sold in the coming years. We want to take advantage of this. We mean business and the proof is this investment decision.” Exports will also form a part of the 2.0 strategy. Skoda will set up an engineering centre in Pune that will design and develop for both the brands. The centre will initially have 200 engineers. 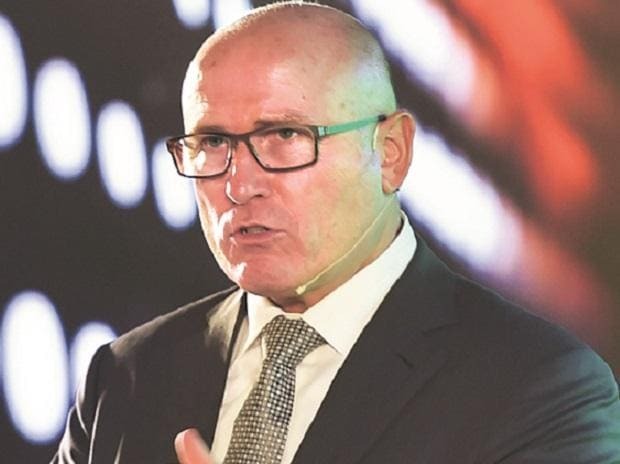 Gurpratap Boparai, managing director for Skoda in India, said the expansion of capacity and engineering centre could create additional 4,000-5,000 jobs gradually. The group will also plan to expand its network presence in India with a focus on tier-II and -III cities. The brand network now covers only 17 per cent of the Indian market and it will be doubled as the next step. The group aims to offer ‘world-class products’ at prices that amount to a ‘paradigm shift’ in the automotive industry. The group said it was now creating the ‘right conditions’ for ‘sustainable’ growth. Skoda, on behalf of Volkswagen group, had announced plans to jointly develop cars for emerging markets, including India, along with Tata Motors in early 2017. However, the two firms terminated discussions in August for lack of “desired synergies”. While Volkswagen has, for now, decided to go solo in India, Maier said the group has not closed all chapters for partnership and could consider “mutually beneficial” deals.